Starting on September 1, the KEYone will be available for purchase from AT&T. It will be sold for $16.67 a month for 30 months on AT&T Next, and presumably somewhere around $00 full-price. To sweeten the deal, the carrier will be selling an exclusive 'Space Black' model, seen in the above video. Hopefully AT&T won't be quite as aggressive with bloatware on the KEYone as Sprint. The business-ready BlackBerry is back. Business customers can soon buy the all-new BlackBerry KEYone from AT&T. It’s a modern Android 7.1 Nougat smartphone made for today’s professional. The smartphone will be available for sale on 9/1. The BlackBerry KEYone is durable, highly secure and equipped with a long-lasting battery (up to 26 hours of mixed-use time1). 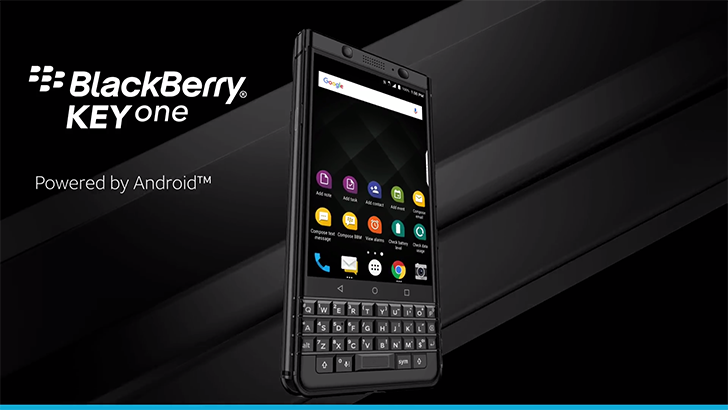 BlackBerry KEYone also supports Android for Work, and is validated for compatibility with the leading Enterprise Mobility Management platforms. Plus, you can get the BlackBerry KEYone in Space Black, a color exclusively at AT&T. The BlackBerry KEYone hosts a sleek aluminum frame and soft grip textured back for heightened durability. The 4.5-inch touch display with Corning® Gorilla® Glass 4 offers great impact and scratch resistance. You may remember the keyboard is one of the features that sets BlackBerry smartphones apart from others. The BlackBerry KEYone’s Smart Keyboard goes beyond typing. You can program up to 52 shortcuts and use it as a trackpad. Worried about security? The Smart Keyboard is also home to the world’s first keyboard-embedded fingerprint sensor located in the spacebar. This gives you more control over what personal information you share for added security and convenience. And the phone comes with built-in DTEK privacy monitoring app and monthly Android security updates. AT&T continues to give our business customers what they want by offering top devices. We are a long-standing leader in offering BlackBerry solutions. The BlackBerry KEYone builds upon that legacy. Find out more about the BlackBerry KEYone from BlackBerry Mobile. 1 Many factors affect battery life including but not limited to network, transmission environment, battery age, usage, location software and feature configuration. 2 AT&T Next: Req’s well-qualified credit, 0% APR installment agreement, and eligible service. Tax due at sale. Down payment avail and may be req’d. If wireless svc is cancelled, device balance due. Fees, other charges & restr’s apply. See store for details.